The daily drip of charter school scandals is revealing an industry that often preys on those they claim to be trying to help. The growing charter school industry is so scandalous there’s a daily hashtag for its problems: #AnotherDayAnotherCharterScandal. But this week has been more of a doozy than usual. First, the Network for Public Education (NPE) released a report tallying the jaw-dropping number of public dollars the federal government has wasted funding charter schools. That number? $1 billion. At least. At least a quarter of the estimated $4 billion in grant money the Department of Education has given private charter school operators since 1994 has been spent on schools that never opened, or opened and then closed because mismanagement and other reasons. 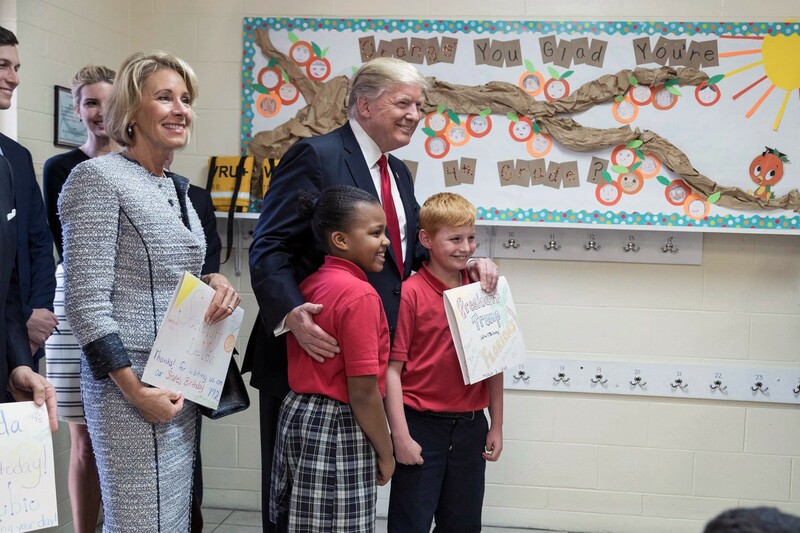 Meanwhile, billionaire Education Secretary Betsy DeVos just proposed spending $60 million more on charter schools next year. Then on Wednesday, the Los Angeles Times published an expose of a wealthy couple who have pocketed millions of public dollars running charter schools across Los Angeles. Clark and Jeanette Parker founded Today’s Fresh Start Charter School in 2003 and quickly expanded it into three campuses. They eventually began paying themselves high consulting fees and $800,000 annually to rent buildings they own, all with taxpayer money. They now live in a 7,700-square-foot home in Beverly Hills with an estimated value of about $15.3 million. But the biggest scandal this week has to be out of New Jersey. The highlight of the series is deep dive into the nationwide web of investors, developers, and Real Estate Investment Trusts (REITs) — which get massive tax breaks — cashing in on charter school buildings. Some familiar faces appear: Goldman Sachs and other Wall Street banks. Even former tennis star Andre Agassi, who’s teamed up with a private equity investor. But the deals these investors make with charter school operators are complex, opaque, and head-scratching. Some New Jersey charter schools are covering mortgages requiring them to pay more than twice the amount borrowed in interest by the time the principal comes due. These sorts of deals are “predatory because you’re basically never making any progress paying it off; you’re just paying more and more interest,” said an associate professor at Rutgers University. If the charter industry doesn’t clean up its act, it could soon join the ranks of payday lenders and for-profit colleges — industries that are obviously preying on those they claim to be trying to help. 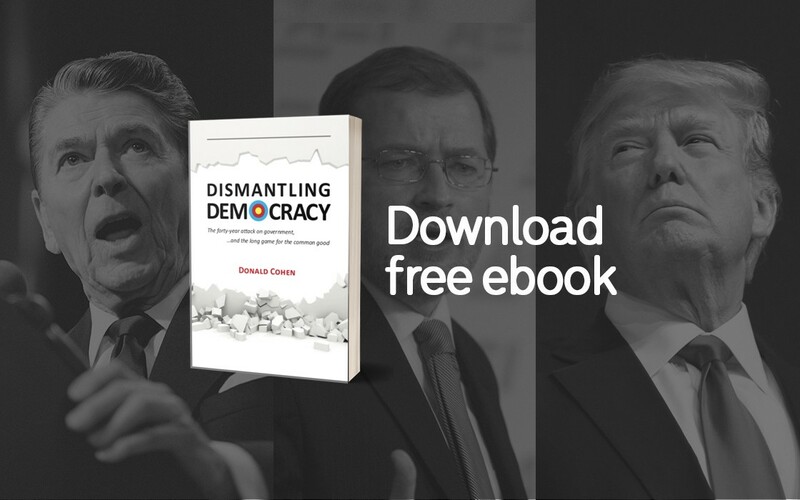 Dismantling Democracy tells the story of the 40-year conservative attack on government and sketches a pro-public strategy for fighting back. Download it here. Want a story like this about privatization’s impact on the criminal justice system, public education, and more once a week in your email inbox? Sign up here. In the Public Interest is a nonprofit that advocates for democratic control of public goods and services.